Successfully chasing yields while avoiding 'dividend traps' can be tricky for investors, but there are tools that can help. Investors reliant on backward-looking indicators, such as a company’s dividend-paying history, have been burned. Companies can be reliable payers – until they’re not. In 2010, Morningstar designed a forward-looking approach to rules-based passive equity income investing: the Morningstar Dividend Yield Focus Index. At the time, we showed that proprietary metrics can screen out companies at risk of cutting their payout. Since the index methodology has globalised, we updated and expanded the study into the efficacy of the metrics. We examined the relative performance of dividend-paying stocks in different interest-rate environments. 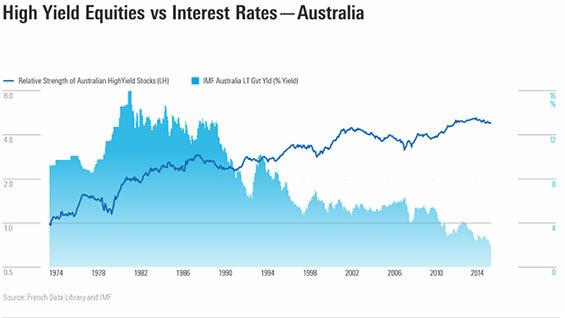 We looked at returns for higher dividend payers against the 10-year government bond yield in several markets—the US, the UK, Germany, Japan, and Australia. The results for Australia, which are displayed below, demonstrate no clear pattern. In some periods of rising rates, high-yield equity actually outperformed, and vice versa. In other regimes, the conventional wisdom was borne out. This pattern holds across markets studied. The wider context matters. Dividend investors should fret less about interest rates and more about moats. 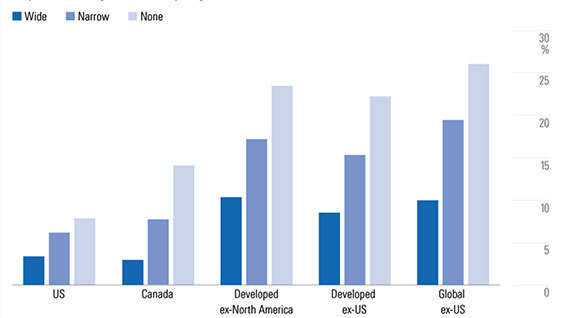 In our latest paper, we found that Morningstar’s metrics for quality and financial health have global utility for dividend investors. The Morningstar Economic Moat Rating is assigned by equity analysts to 1,500 companies globally. The Quantitative Economic Moat Rating algorithmically mirrors the analyst-assigned rating and extends the coverage universe across developed and emerging markets. Both ratings are meant to describe the strength of a firm’s competitive position, gauging the sustainability of profits that ultimately fund dividends. Distance to Default gauges financial health, forecasting the likelihood of bankruptcy. In each region, the trend was the same. The wider the moat and the higher the Distance to Default score, the less likely for a company to cut its payout. By screening the dividend-paying universe for these metrics, the Morningstar Dividend Yield Focus Index family focuses on sustainable yield. It offers a selective, forward-looking approach to equity-income investing. Dan Lefkovitz is content strategist for Morningstar’s Indexes group. 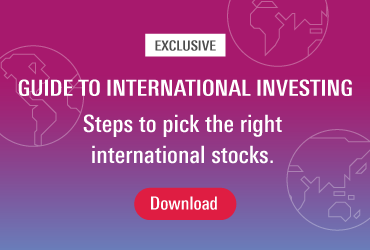 What is the best way to invest in global equities? Market corrections: How bad can they get? Are bonds still sufficient diversifiers?